This is an unofficial report about what happened at the February 20 La Crosse Democratic Party meeting. This is just an observer's report. It is not official minutes. These views are not those of the Dem party or its officials. Any action items noted below are identified as such from notes taken at the meeting. This is not in any way official Democratic Party communication. It is hoped that this info will be helpful for those who were not able to attend the meeting but who wish to participate in building the party. First, the chair was ill and many people were grateful that he was able to make it through the meeting and appreciated the effort. The speaker was Terry Hicks who is the editor of the Union Herald, a union newspaper that reaches about 4,000 union and other households in western Wisconsin. Hicks is also an officer in the local AFL-CIO and has been a past La Crosse Dems chair. He talked about how many union members believed Donald Trump when he promised to bring back manufacturing jobs. 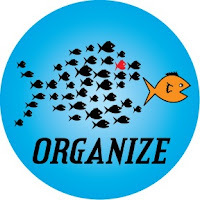 He noted that after the 100,000+ people in Madison failed to stop the Republican war on (public) unions, some union members wondered how to fight back. 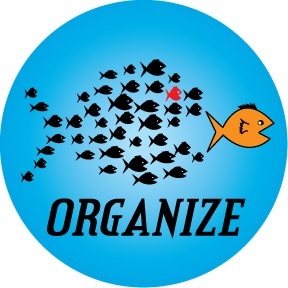 Unions are looking for new ways to organize and rebuild. He acknowledged that sometimes Democrats' actions (for example, some Dems' support of the Trans-Pacific Partnership) have pushed union members away.